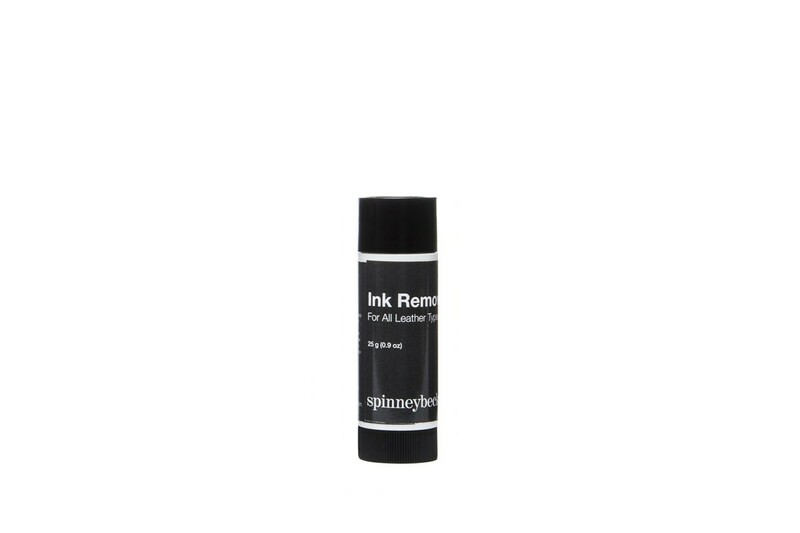 Ink Remover for All Leather Types is designed to pull ink or marker stains from leather. Instructions for Use Ink Remover should be tested on an inconspicuous area first. Gently apply Ink Remover to the stained area with stick. Apply sparingly on naked (unfinished) leathers as it absorbs immediately. Allow the paste to penetrate for 30 seconds and wipe off with a clean, dry cloth. Repeat, if necessary. After using Ink Remover, clean the area with the appropriate Cleaner, Conditioner & Protector to restore moisture removed during the process. Do not use on sueded leathers. Never use saddle soap or household cleaners that may contain harsh chemicals, alcohol or ink removers. Caution Avoid contact with eyes and wash hands immediately after use. Keep out of reach of small children. If ingested, consult a physician immediately.